Autumn is here. Time for pumpkin spice, apples, cinnamon, pecans and Atlantic Beach Pie. 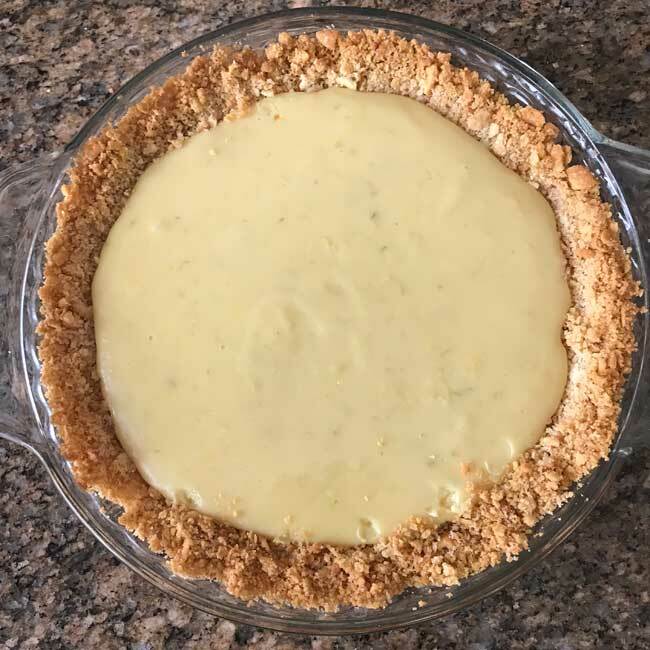 Okay, maybe this is more of a summer time pie, but is there anyone out there who wouldn’t serve a creamy lemon lime pie during the holidays? I thought not, so let’s move on. 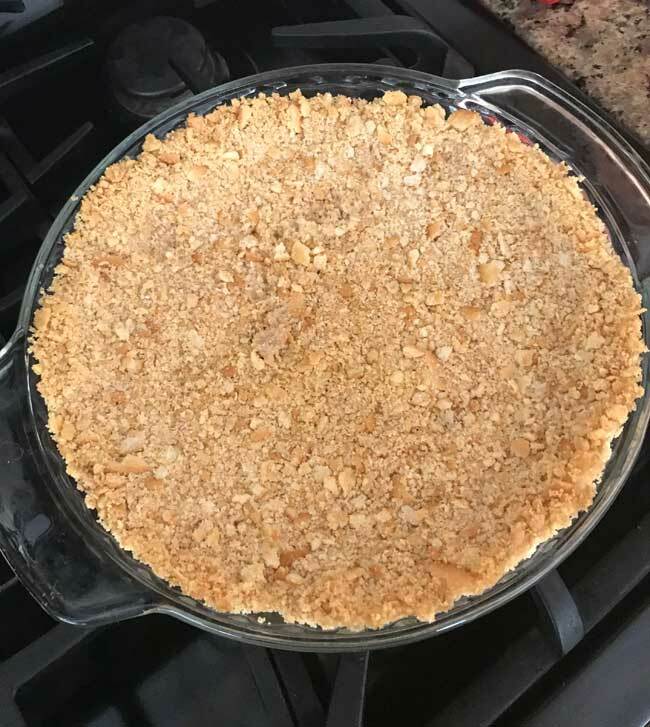 This is a great pie and I am forever thankful to my friend Lisa for recommending it and suggesting I make it with a Ritz Cracker crust. The recipe is originally from Katie Workman who shared it on a segment of NPR’s Found Recipes. 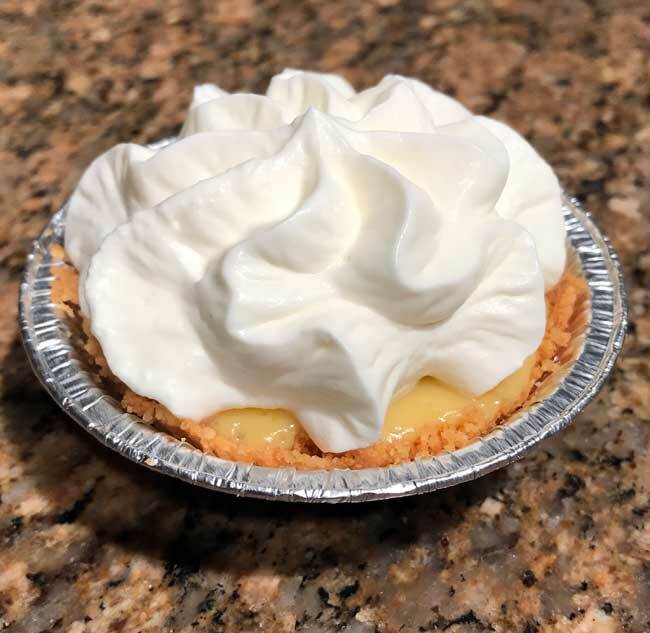 Katie got the recipe from Bill Smith of Crook’s Corner in Chapel Hill, who modestly states that it’s just a Carolina lemon pie. 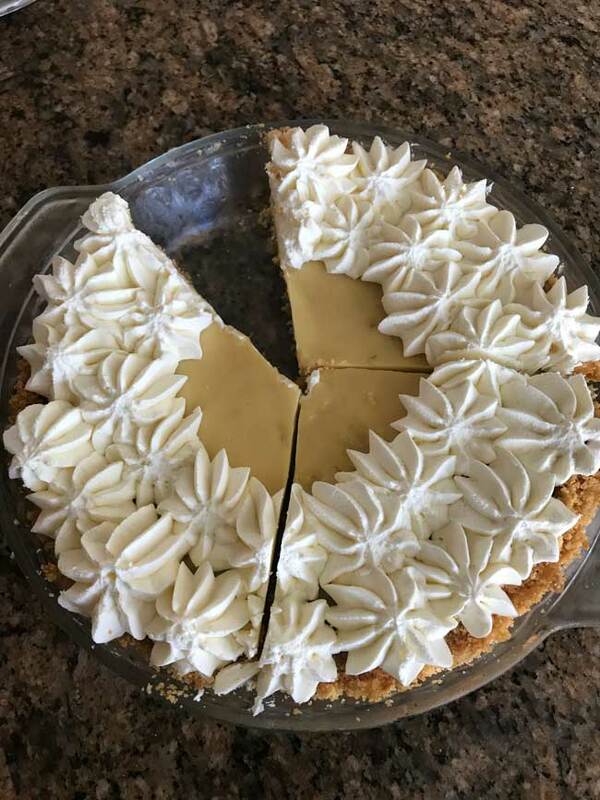 And I will admit that when I first saw the recipe, I thought it looked like the usual condensed milk lemon icebox pie. That is until I saw the cracker crust. Whether you use Saltines or Ritz, the crust makes the pie great. In all my years of making pie crusts, I don’t recall ever making one with Ritz. They work beautifully! In this case the filling is a creamy lemon lime mixture so the buttery, saltiness of the Ritz enhances the tart sweet flavor of the citrus. You can see the original recipe here on NPR. It calls for an 8 inch pie dish, but since I don’t have one I used a 9 inch dish. The crust was done a little quicker than the original due either to the wider pie dish or the fact I used Ritz. Interestingly, the filling still took 16 minutes — same as in the 8 inch pie dish. Here’s what the finished pie looked like, and I apologize for the missing piece. Lastly, I thought I’d share a tip for saving pie so those of you with smaller households won’t have to eat it over and over until it’s gone. 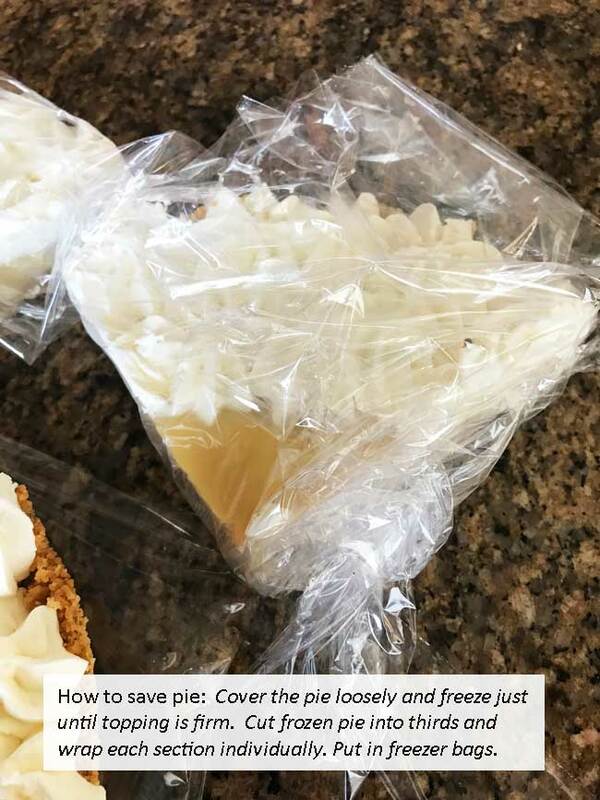 To save pie, take out a piece or two, freeze what’s left of the pie, then use a chef’s knife to cut the frozen pie into thirds. Next, wrap those frozen sections tightly and keep them in the freezer for whenever. 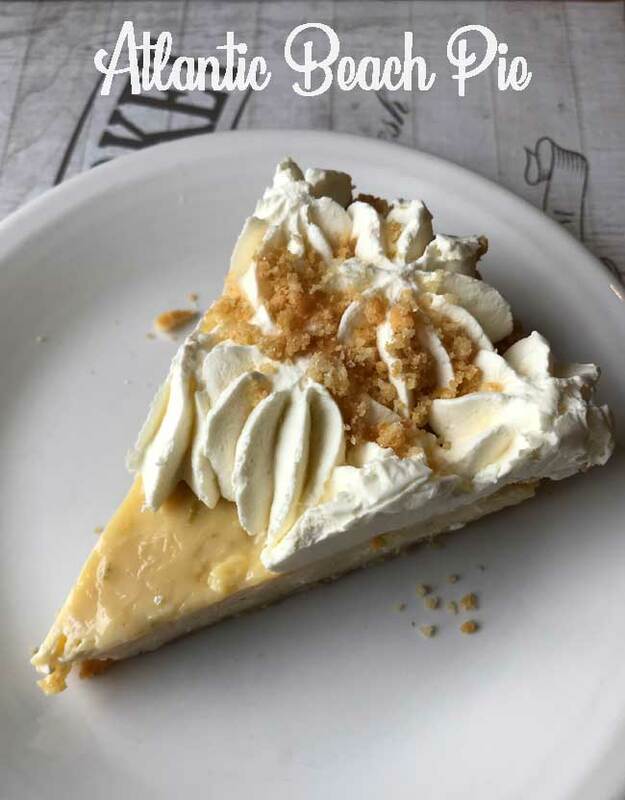 Individual slices of frozen cream pie usually thaw in two hours in the refrigerator, while fruit pies can be thawed a bit and then reheated. Update: Atlantic Beach Pie can be made as 3 inch “minis” as well. 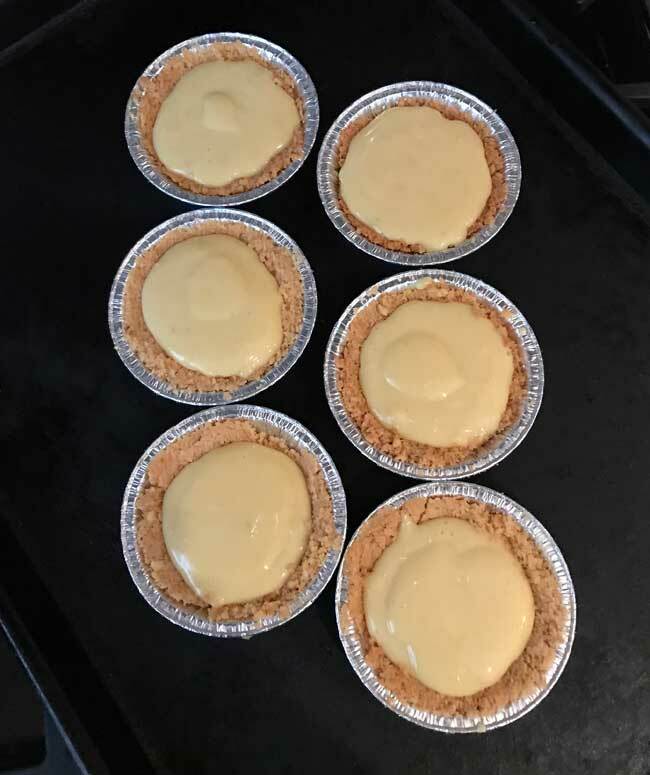 If using 3 inch disposable pie tins (I buy them off Amazon), divide the crumb mixture among the pie shells and press down tightly. Bake for about 8 minutes. Let cool, then add filling and bake for about 12 minutes. Combine crushed crackers and sugar and stir until well mixed, then add the butter and stir until the crumbs hold together. Press into an 8 or 9 inch pie pan. Chill for 15 minutes, then bake at 350 for 12-15 minutes or until nicely browned. I used a 9 inch pie pan and my crust was done in about 12 minutes. Whisk together condensed milk, and egg yolks, then whisk in the juices and zest. Pour into the baked shell and bake for another 16 minutes or until filling appears set (with the 9 inch pan it still took 16 minutes). Let the pie cool, then chill thoroughly for a few hours. Shortly before serving, make the sweetened whipped cream, put the cream in a mixing bowl and beat until it starts to thicken. Add the sugar and continue beating until thick (do not overbeat). Stir in about ½ teaspoon of vanilla if desired. Pipe the cream around the edges or spread over the top. Garnish with sea salt if desired. Looks great! And fab tip on freezing cream pie. I’ll take lemon over pumpkin any day of the year. This recipe sounds interesting with the Ritz crust.